Gamebiz 2 is about the video game industry. You can develope new games for 37 different platforms, like PC, NES, PS2, XBOX, C64, Amiga and many more. You can also develope new Consoles/ platform. Try to beat compertition like Commodore, nintendo, microsoft and all the other big companies. 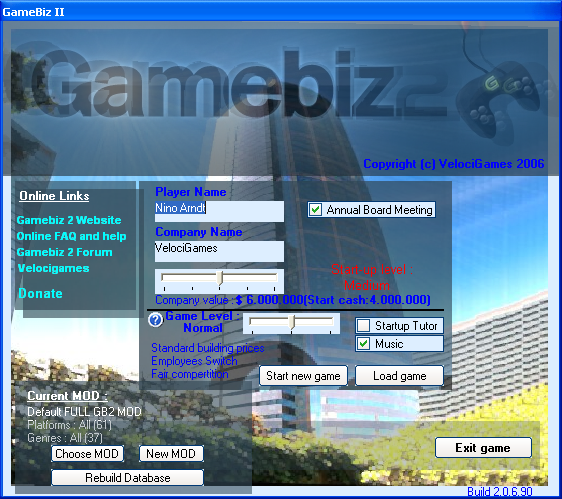 GameBiz 2 expand and add a lot of new features to the gameplay found in GameBiz 1. 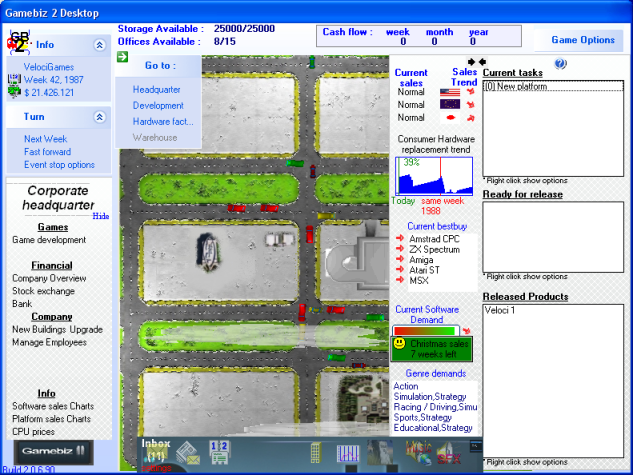 The gameplay found in gamebiz 1 is essentailly about managing a game development company but GameBiz 2 expand on this making the player able to start different company types, like starting a factory to design and build new gaming consoles.